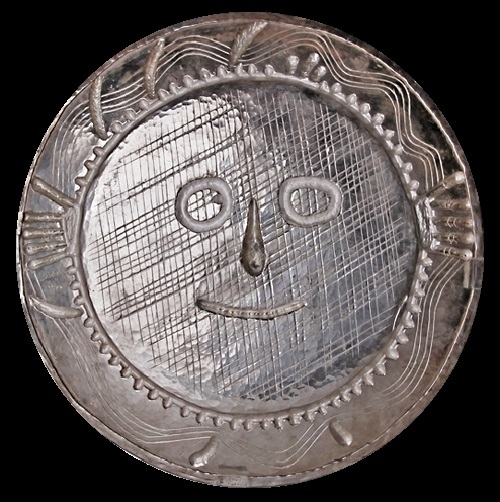 Silver dish, created by Spanish painter Pablo Picasso was stolen during the Festival of Contemporary Art in Miami “Art Basel” on 5 December 2014. 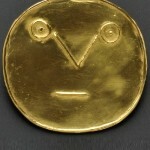 The estimated value of the stolen artifact is 85 thousand dollars. 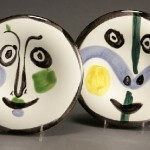 In fact, the stolen dish called Visage aux mains is part of a series of 20 silver objects created by Picasso in 1956. 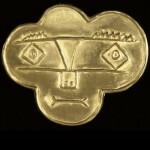 Meanwhile, few people remember the fact that Pablo Picasso was a jeweler who had worked in this direction of art. Maybe because comparing to his paintings, these jewelry artworks looked not bright enough. Or just because their price never reached that height as for his paintings. Noteworthy, the public saw several intricate works of the great artist only in 1998. In fact, about the existence of these jewels, kept in the house of Dora Maar, beloved of Pablo Picasso for many years, very few people knew. And jewelry artworks were up for auction only a year after her death. The amulets made by Pablo Picasso for Dora Maar with engravings (total six), made on plain gravel, which Picasso picked up on the beach. He drew portraits on stones with a simple pocket knife. Two summers in a row loving couple spent in Juan-les-Pins in the south of France. Almost all of the prints from the tiles, some with holes in the top, so that Maar could wear them as amulets. 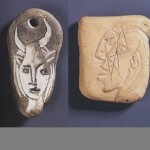 Even the experts in the jewelry works of modernists had no idea until the discovery what jewellery Picasso did. 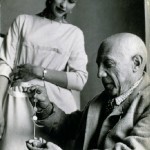 Meanwhile, Picasso created jewelry long before his commercial cooperation with a jeweler Francois Hugo at the end of the 1950s and 1960s. Among the items in particular, were brooch, four pendants, watches and rings, and beautiful frames in which the artist inserted miniature portraits, basically most of Dora Maar. 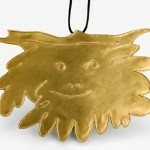 A lot of artists – even some of the greats – made jewelry for their loved ones. And these products were completely uninteresting from the point of view of jewelry – just like a piece of history. However, the mere fact that Picasso made these ornaments and made them for Dora Maar is incredibly interesting, no matter what they represent in terms of style and aesthetics. Certainly, such a find is an epoch-making event. 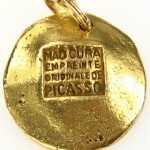 The main part of jewelry Picasso created from 1936 to 1939, the second in the first three years of the romance of Picasso and Maar. The only written record of these products, which the researchers were able to find appears in the biography of Picasso and the Oder, written by James Lord. James Lord lived in Paris after World War II and was a friend of both Picasso and Maar. 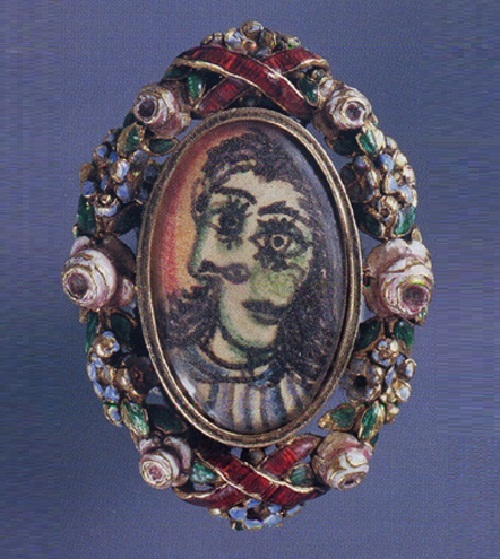 According to the Lord, first ornament Picasso did for Maar to comfort her after the loss of the ring with a ruby. The golden ring was obtained in exchange for one of his watercolors. “During the walk, passing the bridge, he got into a dispute between the two lovers. Dora had persuaded him to give his art work in exchange for a trinket. 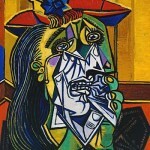 At some point, Dora decisively took off the ring finger and threw it into the Seine, making Picasso silenced. However, later she was upset that she did it so impulsively. During some days Dora was on duty on the bridge, in the hope of finding the ring, which as it turned out, she had lost forever. And all this was the fault of Picasso. 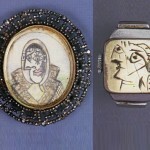 Dora could not forget the story untill Picasso did a ring of his own design for her. It was too precious and too fragile to wear it. Of course, to some extent, this was his revenge. 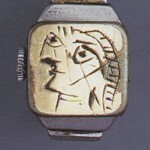 Obviously, Lord did not know about the other jewelry that Picasso did for Maar. 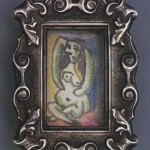 One day she showed to Lord silver lighter engraved with her portrait, in a manner typical of Picasso in the late 1930s. Although Picasso and Maar were never married and did not live together, their relationship has inspired many artists to work during the war. Maar was shocked when Picasso left her for Françoise Gilot (who bore him two children, including Paloma) and spent some time in a mental hospital. 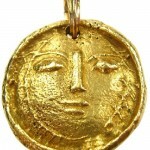 However, some of jewelry found in her flat prove that they remained connected for a long time thereafter. – Do you see Picasso’s painting on my wall, how much it costs? – Half a million dollars. Maybe a little more ..
– Much more! And I’ll explain why. On the walls of the gallery, maybe it only costs half a million. On the walls of Picasso’s mistress, this picture deserves a substantial premium. Premium of history.